Pay what you want: When can the business model succeed? 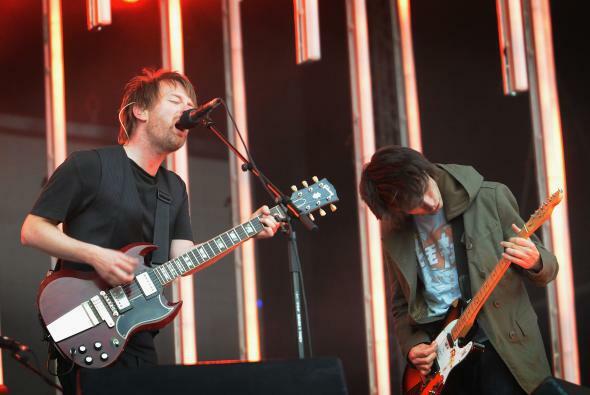 Thom Yorke and Jonny Greenwood of Radiohead perform in support of the album In Rainbows in 2008 in London. In Rainbows was released on a “pay what you want” model. Making money: Does success imply generating more revenue than a fixed-price scheme? Reaching more people: Does success entail getting your product to a larger group of people, despite that many of them will be getting it for free? Enhancing brand: Or, would success simply be receiving the visibility and brand-awareness that comes through the attention given to PWYW products? Each of these goals may be sensible for companies and creators at different points and for different reasons. In the case of our book, my co-authors and I were hoping to accomplish Nos. 2 and 3. We were comfortable taking a hit to our overall revenue as long as they were sufficiently counterbalanced by gains in the other two goals. Before launching, my co-authors and I conducted an experiment with 5,700 readers who had signed up to hear about our book. We gave them different prices for our book (including five different PWYW variants), then measured how many people bought, how much they bought it for, etc. Due to this principle, digital products are especially powerful under PWYW, since there’s nearly no marginal cost to having a new reader download your PDF. As a result, after the initial investment has been paid off, all sales are pure profit. Physical products, on the other hand, nearly always have costs attached (e.g., shipping, printing, manufacturing) that make PWYW models quite difficult. If someone pays you less than the cost it would take to manufacture and ship your product to them, you’ll be taking a loss on many sales. Morkes defines a fair-minded customer as someone “who understands that there’s someone on the other side of that product or service who put his/her sweat and blood into creating it” and thereby is willing to pay some amount commensurate with the value they’re receiving. One thing I’d like to add is that I believe creators can tailor their product, pitch, marketing, and design such that it induces fair-mindedness with customers. You don’t have to rely upon people being inherently generous if you’re able to make them more generous (at least, when they hit your landing page). You can do so by employing a few strategies, including appealing to their sense of fairness (“I’ve spent a great deal of time making this music, and would appreciate if you would pay a fair price”), anchoring a price in their mind (“Typically, books like this are sold between $15-$25, but we’re letting you pay what you want.”), and offering tiered products (“If you pay more than $10, you’ll receive an bonus 45-minute audio file where I discuss this topic in-depth.”). By selling a PWYW product that could be sold at a wide range of prices, customers get a lot of choice at what a “fair price” could be. The individual who would have never paid $19 for your book, may be willing to part with $5. As a result, both you and the customer wins. They get a product for a price they think is fair, and you get a sale. PWYW can be used as a powerful marketing and branding strategy. In a competitive marketplace, PWYW gives you an additional advantage over other similar products. However, in a marketplace where you’re the sole creator of a product that satisfies a need, you may be leaving money on the table since you wield power over setting the “fair” or “standard” price. Depending on your goals, you may instead want a fixed-price model. This one probably explains itself. The stronger the relationship, the more likely you can persuade your readers to give you value back in exchange for the product you’re offering. PWYW can also be used as a way to build a relationship with customers. By offering a product for free, you get credibility points from your audience who may trust you and the quality of the content you provide. You can follow up with them afterward as you release new products and increase their likelihood of buying from you in the future. In the end, the best thing to do might be to experiment with a PWYW model for yourself. Differing customer groups and products will respond differently to PWYW. It’s worthwhile to validate any of the studies or experiments you’ll see (including our own!) against your own niche by running an experiment and analyzing the data. Good luck! Behavioral economics: How do economists explain nepotism? Pay what you want: Is there an external platform you can use to host and sell a digital item on a “pay what you want” model? Business models: Why did Salesforce.com succeed?